2008-2013 R58 MINI Cooper S Clubman Drivetrain Clutch and Transmission parts. These include Limited slip differentials, stock clutches, transmission seals, axles, shift cables, lightweight flywheels, and racing clutches. 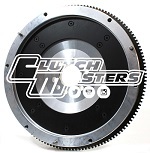 Manufactures include OEM MINI, OS Giken, John Cooper Works, Quaife, Competiton clutch, redline, and LUK.